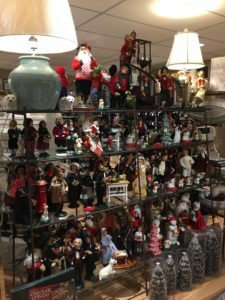 19″ Santa is dressed to deck the halls this season! 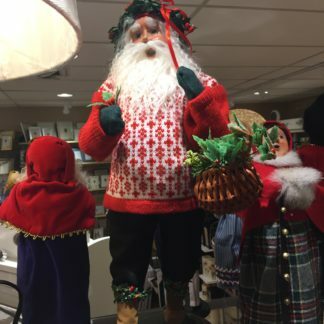 Santa Claus is festively wearing a red and white knit sweater, black pants, and green mittens. He is mounted on a beautiful wooden base. He is carrying a basket full of holly and has a wreath of holly adorning his head and around his boots…… Quite the festive fellow! 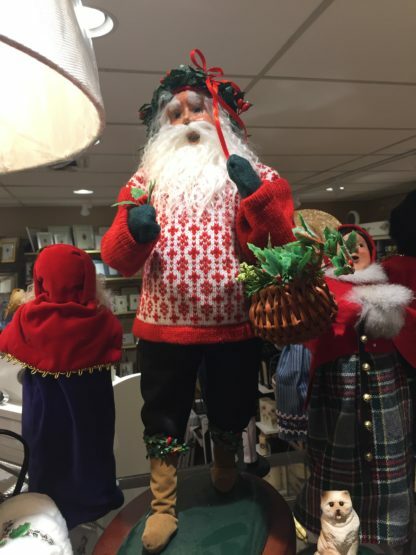 He comes in a special Byers’ Choice Caroler Box and is all ready to give… or keep for your own collection!